Thessaloniki is the second-largest city in Greece. The city combines a rich multicultural history, advanced facilities and a great atmosphere. There are many places to visit in Thessaloniki during your stay. And it’s less than 3 hours away from Skopje with the best fares from Skopje Taxi. The “Bride of Thermaikos” is a charming city that will satisfy all tastes. Αno Poli is one of the few areas of Thessaloniki that remains almost intact from the Great Thessaloniki Fire of 1917. It is located north of Agios Dimitrios, on the highest point of the city, and extends to the Byzantine walls. The residencies of the area with their narrow streets are authentic samples of the Balkan architectural tradition. They compose a picturesque peaceful atmosphere away from the urban rhythms of the city’s center. Ano Poli is a great place to explore the local tastes. 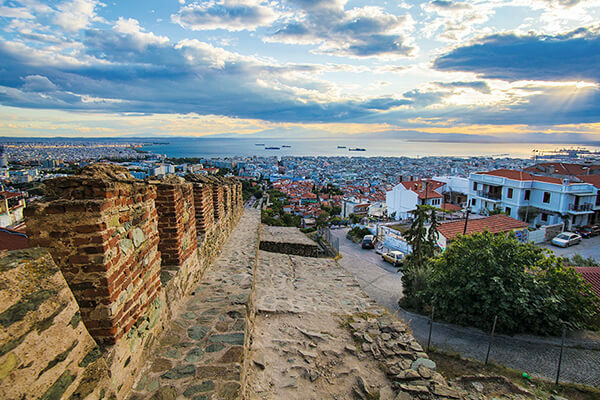 You’ll enjoy a fascinating view of Thessaloniki from above. This is where you will find some of the most famous sites in the city. 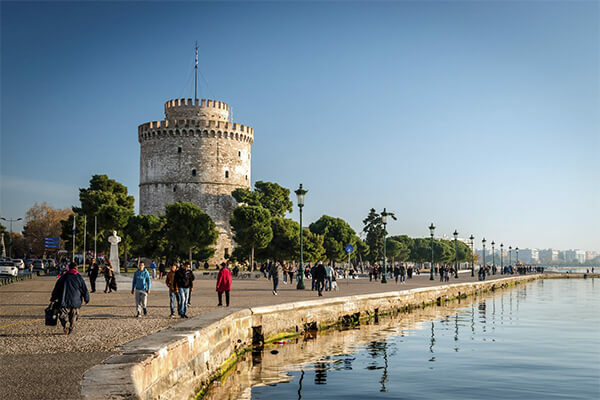 Its landmark, the White Tower, the Aristotelous Square, the Concert Hall and the Harbor of the city. This Harbor is well known since ancient times and has played a significant role to the commercial history of the entire area. 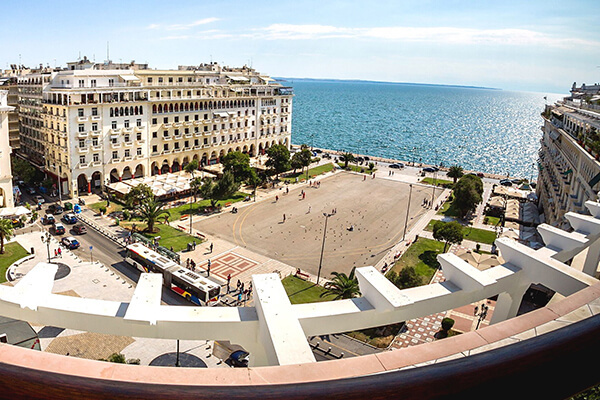 Thessaloniki’s stunning seaside promenade is one of the city’s most famous and popular spots. 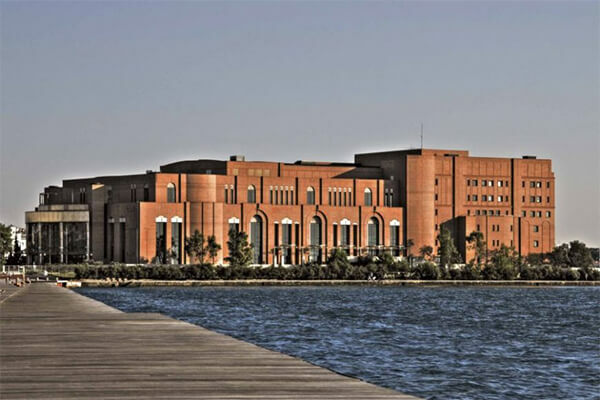 It lies in the shore of the Thermaic Gulf and is 5 kilometers long from the port to the Concert Hall. While on a stroll, there are endless places to stop for a coffee, lunch or dinner by the seaside. The view is fantastic and the breeze from the sea gives you a sense of free spirit and serenity! The living symbol of Thessaloniki is world famous and carries a rich history. It’s one of the must-visit places in Thessaloniki. The White Tower first appeared during the 15th century in the place of a previous Byzantine fortification. Through time the Tower has served as fortification, but also as a famous prison, called “Tower of Blood”. The tower was named White Tower in 1891 when it was whitewashed. The tower is open to the public and visitors can enjoy an amazing panoramic view from its top. Inside you will find a very interesting museum on the history of Thessaloniki and the tower. At the bottom there’s a souvenir shop. It’s one of the most beautiful corners of the city of Thessaloniki. A square you should take the time to visit, walk around and enjoy your coffee or ice-cream while there. The square offers an incredible view of the sea and the nearby harbor. All around are huge classic arches of gorgeous buildings that form this unique and famous square. Aristotelous Square is the place where the locals will meet, enjoy their coffee or food across the sea. It’s one of the liveliest corners of the city, full of coffee shops and restaurants. The Concert Hall is located by the seaside of Thessaloniki in a plot of eighteen acres. It was designed by the architect Arata Isozaki, with special attention given to elements as metal and glass. If you are lovers of beautiful buildings it is worth a visit! Many cultural, musical, theatrical and dance performances take place at the Concert Hall, as well as art exhibitions. If you are an art lover, make sure you book some tickets. While being there do not miss the chance to take a tour of the Hall. 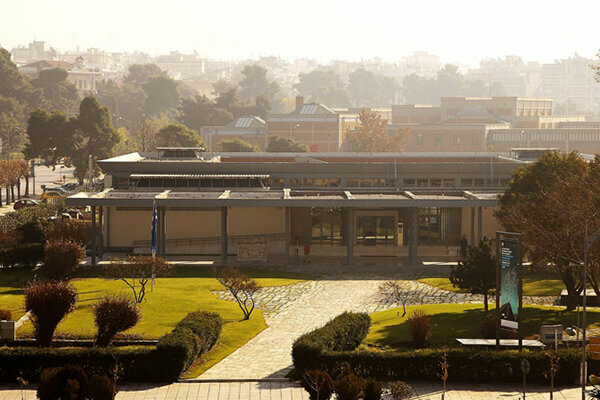 The museum of Byzantine Culture is one of the most modern museums in Greece. It’s one of the must-visit places in Thessaloniki if you’re a history buff. 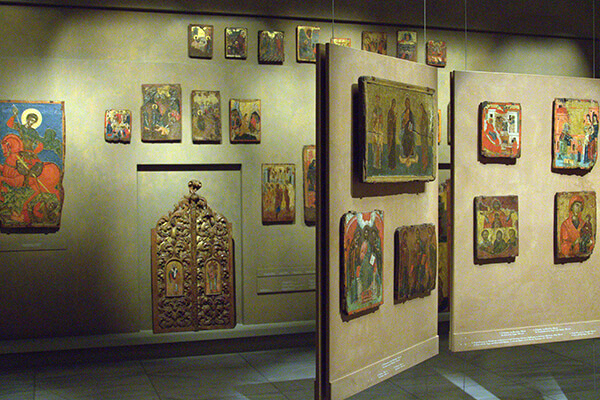 It presents a complete picture of the Byzantine culture through interesting exhibitions and other activities. Its objects come from the area of Macedonia and especially Thessaloniki, which closely relates with Byzantine history and tradition. The museum’s objects include sculptures, mosaics, wall paintings, coins, ceramics and manuscripts. They are presented in 11 halls according to thematic units, based on the scientific museological approach that each object cannot be conceived as an individual artifact, but can only be substantially approached through its inclusion in the society that created it. Τhe Archaeological Museum of Thessaloniki was established in 1912. It’s lies in a building designed by the Greek architect Patroklos Karantinos. It hosts findings from the wider area of Thessaloniki that from the prehistoric years until the later antiquity. Some of its most notable exhibits are the head of Serapis, the statue of Harocrates, gold medals and Medusa heads. Last but not least, one of the places to visit while Thessaloniki is Ladadika. 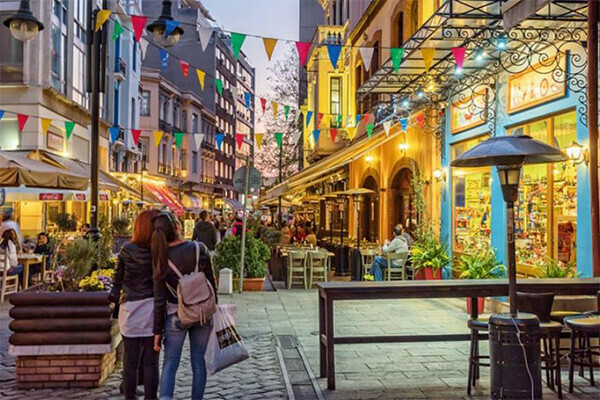 Ladadika is the nightlife hotspot of Thessaloniki, attracting countless locals, students and tourists every night. Colorful neoclassical buildings surround bars, cafeterias, traditional taverns, tsipouradika and clubs. All in a unique mixture of the old with the new that will fascinate and satisfy everyone. The place bears the name “ladadika” after the first shops of the area that were selling oil (“ladi” in Greek) and oil products during the Ottoman occupation. 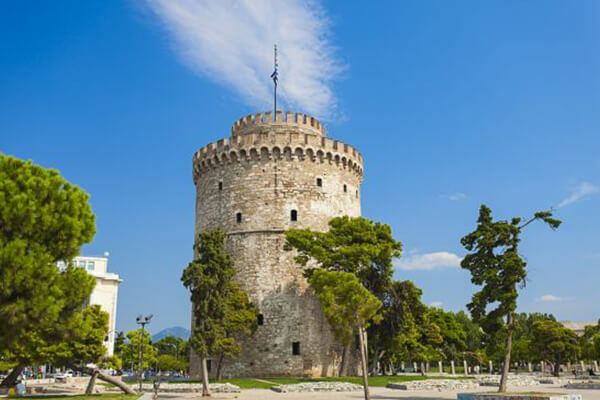 Hope you enjoy our list of 8 places to visit in Thessaloniki and we wish you a pleasant stay!